Start taking classes at Forge Strength Austin and other studios! A class focused more on endurance training. The class formats range from EMOMs, to AMRAP, to Tabatas and everything in between. Expect loads less than 75% of your one rep max with body weight and plyometric movements. Almost all our endurance workouts are partner based, really forging a sense of community and team work. There are no upcoming “Forge Endurance” classes on this day. Please wear comfortable active wear and well supported athletic shoes. Don't forget to bring your towel and water bottle. 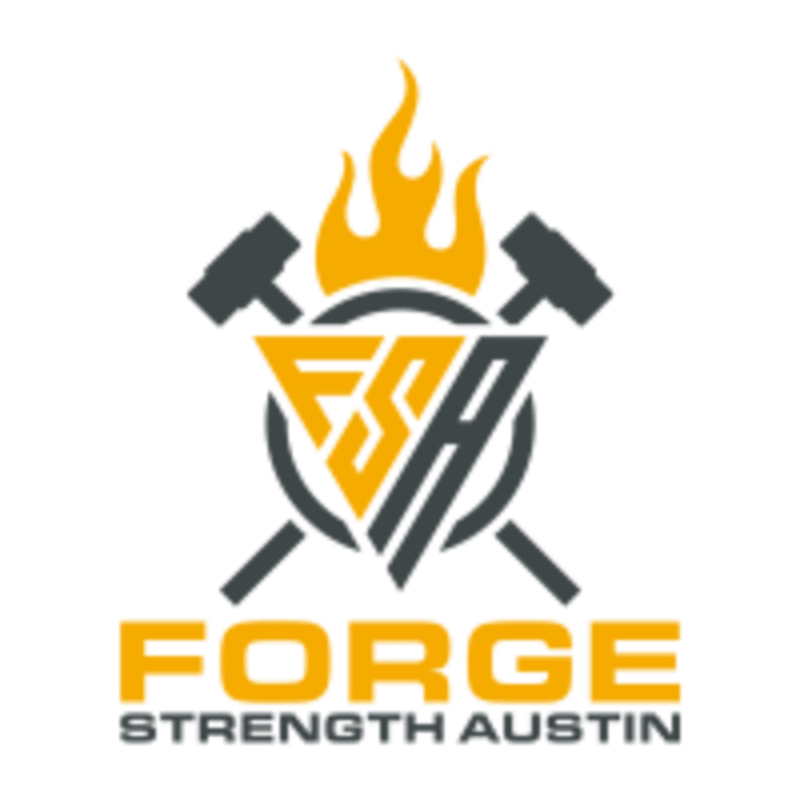 Forge Strength Austin Gym is located at 2032 B South Lamar Boulevard in Austin, TX 78704. Just before South Lamar and Oltorf to the right, look for the space directly behind Golden Goose and Tiny Pies. Forge Strength Austin will be right by a basketball hoop. Class felt quick &amp; worked up a sweat! Christian was really informative &amp; ensured proper form while doing the hang cleans or other exercises. Also great that the stretching revolves around the exact muscle &amp; exercises that we did. He takes his time to make sure everyone is at their speed &amp; level! Almost don’t want to leave a review bc this seems like a such cozy little hidden gem-gym!! Definitely will be back! 15 min stretching, 30 min working out. Studio kinda hard to find. No adjustments given and instruction was very hands off. I loved this class! The instructor made the workout really fun while also focusing on correct form. The space was great too - I love the warehouse vibe, and it’s super clean! Plus, the other students were awesome, cheering each other along. Last but not least, the music was on point! It was a great workout. I’ll definitely be back!